This is an isolated CAN Bus breakout board with Flexible Data Rate using the Analog Devices ADM3055E IC with a data rate of up to 12 Mbps. The output pins are on both screw terminals and a DB9 connector. The DB9 connector an be configured for use with an OBDII cable, SAE J1939 cable, or CAN Analyser pin-out via solder bridges. 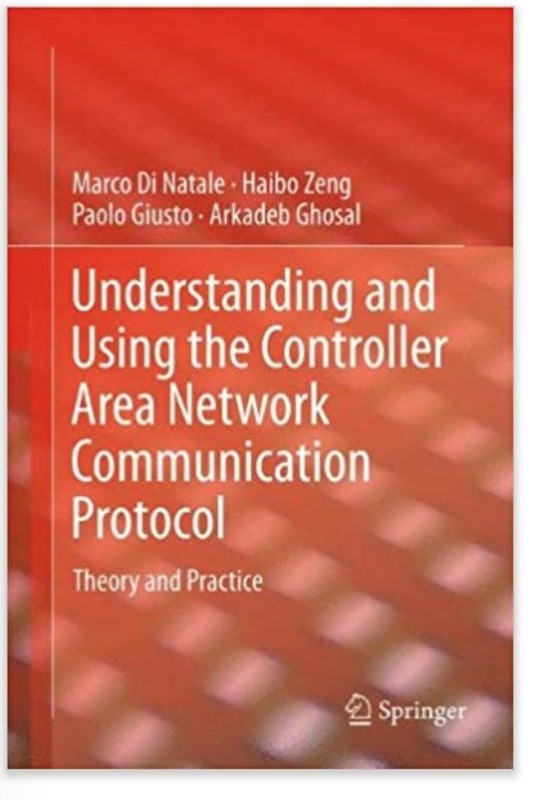 This book to offers a hands-on guide to designing, analyzing and debugging a communication infrastructure based on the Controller Area Network (CAN) bus. Although the CAN bus standard is well established and currently used in most automotive systems, as well as avionics, medical systems and other devices, its features are not fully understood by most developers, who tend to misuse the network. This results in lost opportunities for better efficiency and performance. The authors offer a comprehensive range of architectural solutions and domains of analysis. It also provides formal models and analytical results, with thorough discussion of their applicability, so that it serves as an invaluable reference for researchers and students, as well as practicing engineers. Click the button below to add the Isolated CAN FD Breakout Board to your wish list.